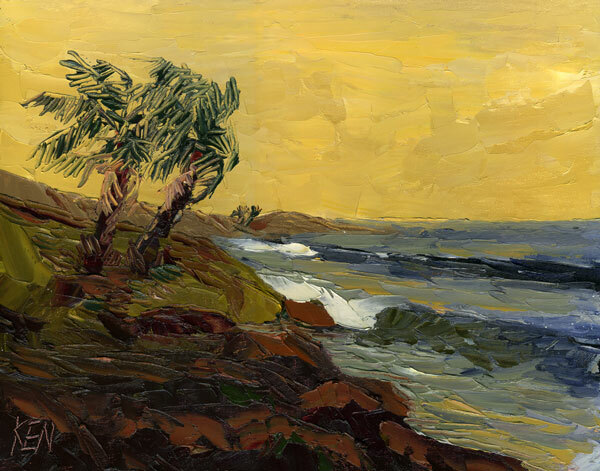 SEA PALMS OLD COAST Original Seascape California Impression Oil Painting from KenPaintings.com Online Gallery. Home of Artist Kenneth John , Ken paints coastal seascape, landscape and still life oil paintings in a range from art realism to impression to folk art to expression. Ken was raised on the east coast of Florida and lived on the Southern California coast for 15 years.